As a black woman who grew up in predominantly white communities, I spent countless hours wondering why the makeup that looked great on my fairer-skinned peers didnâ€™t look nearly as flattering on me. I tried to learn about makeup from my mother, but there wasnâ€™t much to learn. I remember playing around with her single tube of lipstick when sheâ€™d leave for work, careful to remove all the evidence before she got home. Her makeup routine was â€” and continues to be â€” extremely bare bones and didnâ€™t provide much of a blueprint as I was looking to expand my makeup palette. So, like most impressionable young people, I turned to the media to show me what beautiful makeup looked like for people with darker skin tones. Thatâ€™s when I first noticed a problem. Not only were dark-skinned models rarely featured in beauty advertisements, but when they were, it was mostly the same few makeup looks on rotation. Iâ€™ve found that makeup for deeper skin tones generally falls into two major categories: unwearable or imperceptible. And rather than walk down the street with neon green eyeliner and a bold red lip, I rely on neutrals, shimmery golds, and an occasional blue accent. As I scrolled through the Instagram feeds of several makeup brands last week, I noticed that, without fail, every look for a dark-skinned model was either gold or blue (or a combination thereof!). Buying makeup I havenâ€™t seen swatched on models with deeper skin tones is like playing Russian roulette with my hard-earned cash, so rather than being wasteful with my money and the product, Iâ€™ve frequently opted for the same basic shades I knew would look fine. But fine isnâ€™t good enough. We deserve more. Our culture is struggling to showcase models of color â€” especially in the ecosphere. I think about the younger version of myself who was scared to experiment with makeup, who lacked the know-how and wanted representation, and I realize how important it is to see people that look like you in spaces you dare to occupy. When I started my eco-conscious journey, I felt a familiar twinge of insecurity as I found that, by-and-large, the most popular influencers looked nothing like me, and once again Iâ€™d found myself in a predominantly white community that sidelined my experience. Following more WOC within the communities I am a part of has certainly helped me feel understood as I navigate through life (or, more realistically, scroll through my Instagram feed). There are beautiful, eco-friendly (and palm oil free!) makeup options for people with darker skin tones, and those products deserve to be highlighted rather than concealed â€” as long as the concealer is offered in a diverse shade range ;). The eco-conscious community is for everyone, and we all deserve to look fierce while we do our part to protect our planet. For each look, our makeup artist started with Glossier Stretch Concealer in the shade Rich with Rootâ€™s Pearl Powder Mineral Foundation on top in G9, applied with a flat top face brush. If youâ€™re worried about putting powder foundation on top of lotion, concealer, and the like, set your face with a finely milled setting powder first. Finally, for the first and third look, we used Lily Loloâ€™s Eyelid Primer to increase the coverage and pigmentation of each shadow. Editorâ€™s Note: Is Glossier eco-friendly? No, it doesnâ€™t meet our environmental standards â€” although it is cruelty-free, which is great. However, we canâ€™t really recommend an eco-conscious concealer with an acceptable shade range and would rather plug something that works for our model instead. For this soft, ethereal pink look, we wanted to find a light pink shadow that had less white and silver mica, which could look ashy or lackluster on deeper skin tones. 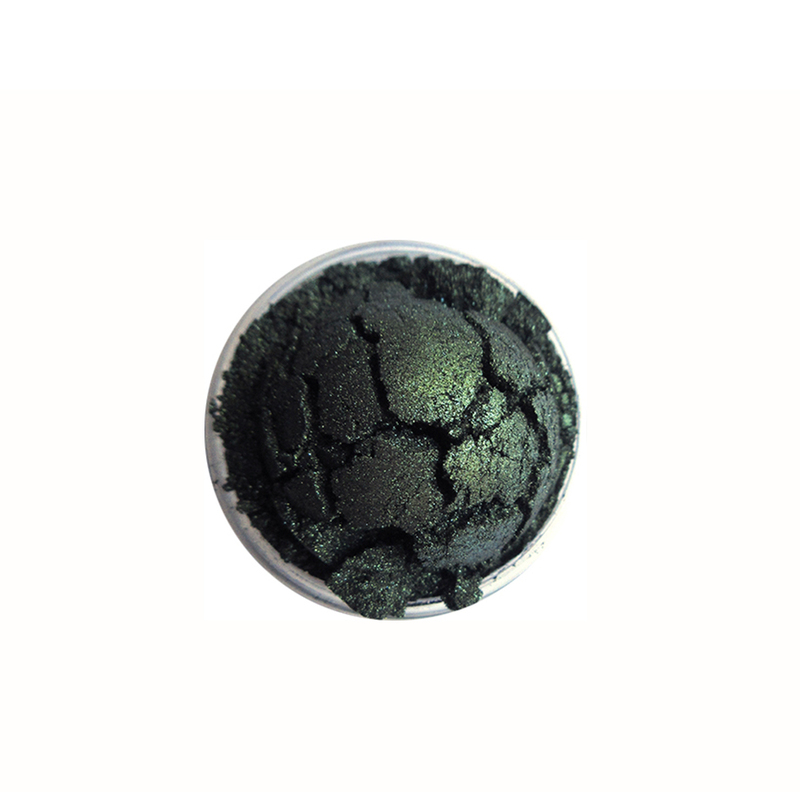 To add dimension, we added a little bit of black shadow on the upper lash line. 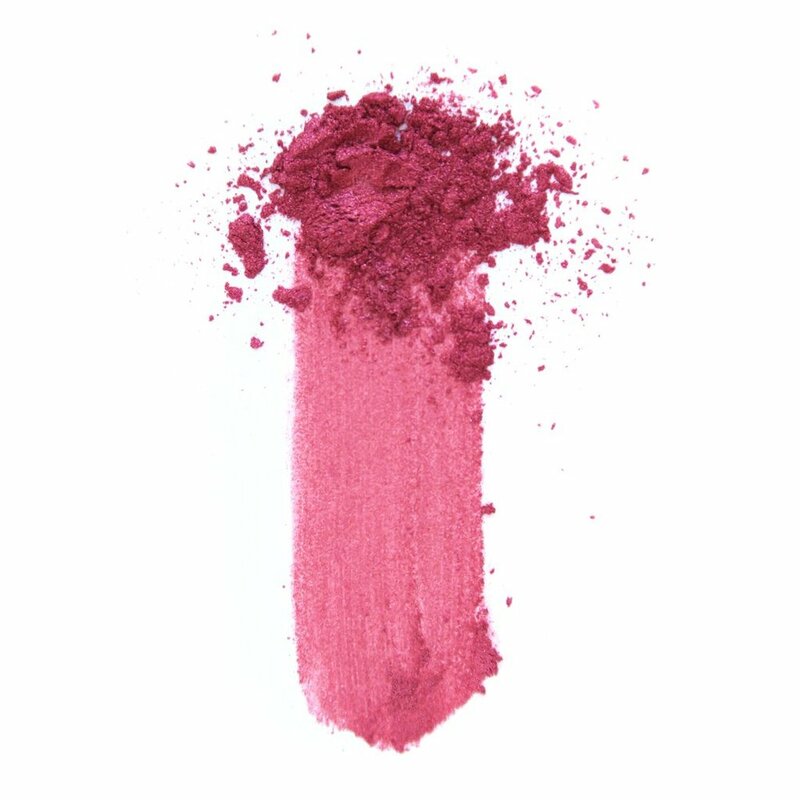 Finally, to create depth, we used a cranberry blush on the apples of the cheeks and blended up into the high cheekbone, where you would normally highlight. For this look, Aaliyah wanted something painterly in shades of green. If we werenâ€™t going the eco-route, we would probably use a paint pot â€” a product with a creamy consistency. 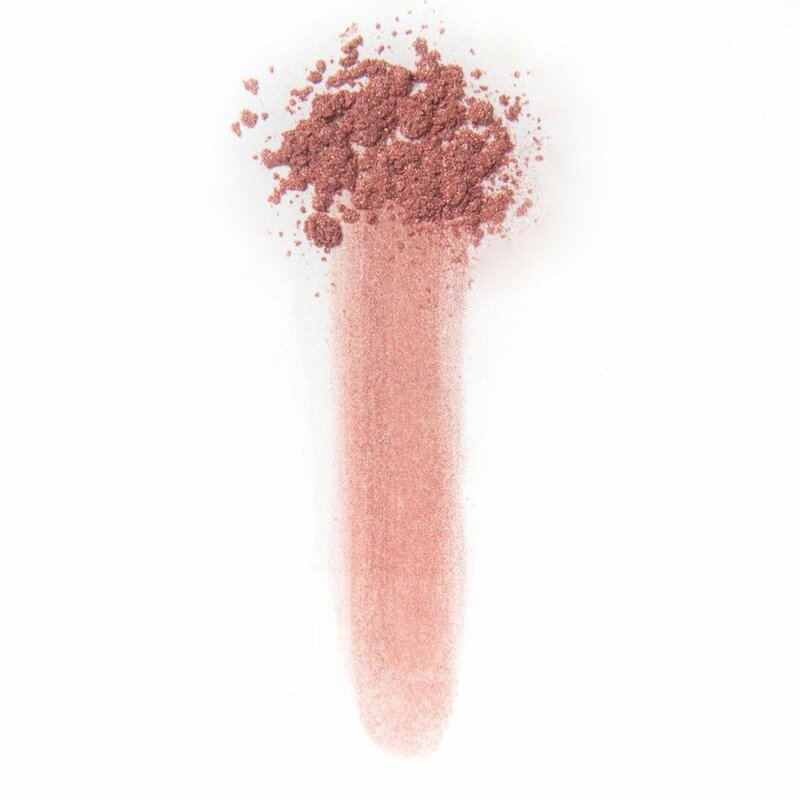 But getting a mineral shimmer to glide without using lip gloss â€” which is great for editorials but sticky and impractical for everyday wear â€” was no easy feat! We settled on BYBI Beautyâ€™s Babe Balm as a mixing agent. Using a synthetic detail brush, we painted the three shades of green randomly. This look is supposed to be a little daring and messy! To minimize creasing, you can set it with the corresponding eyeshadow (which is what we did here) or setting powder with a small, dense brush. Here, weâ€™ve flipped the script on that common â€˜gold and blueâ€™ color trope by using a copper shimmer on the lid and adding orange highlights to the inner corner. The orange pops are playful but not overwhelming because weâ€™ve stayed in the same color family as our all-over lid color. Then, we anchored the look with some navy shadow smoked out on the lower lash line, which makes this look a lot more doable than say, an electric blue cat eye when youâ€™re sleepily applying makeup before work. Finding environmentally-responsible makeup products devoid of palm oil and sneaky palm derivatives can be difficult if you donâ€™t know where to look or what to look for. That search becomes even harder when you are worried about how ashy a product might look or if it will provide enough pigment for your needs. Armed with the right knowledge and inspiration in your makeup kit, interesting (yet still wearable!) makeup looks are totally possible to achieve, not to mention really fun to photograph.